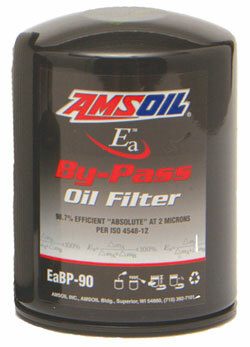 AMSOIL Ea By-Pass Oil Filters provide the best possible filtration protection against wear and oil degradation. Working in conjunction with the engine's full-flow oil filter, AMSOIL Ea By-Pass Filters operate by filtering oil on a "partial-flow" basis. They draw approximately 10 percent of the oil pump's capacity at any one time and trap the extremely small, wear-causing contaminants that full-flow filters can't remove. 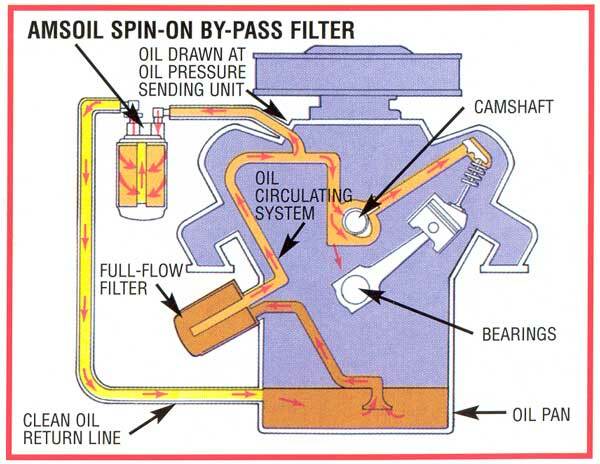 The AMSOIL Ea By-Pass Filter typically filters all the oil in the system several times an hour, so the engine continuously receives analytically clean oil.